Lauren & Matt are hitched! 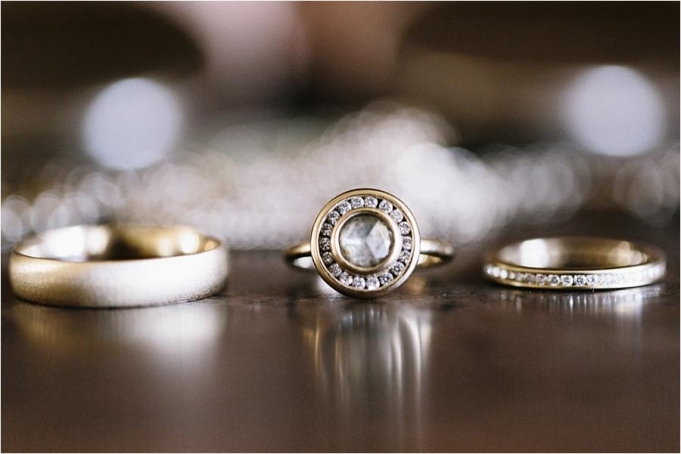 | Destination Wedding Photography | NOLA Wedding | Race + Religious - 2TPHOTO: life through a lens. Once upon a time, 15 years ago… I met this sweet, blonde haired, blue eyed icelandic soccer player during cross country practice and would later find myself running around town, listening to teen angst punk rock, and getting into mischief and random adventures with her! For being so calm and collected– she loves and embraces the unexpected and appreciates the surprises and sometimes chaos that life has to offer. The moment I met Matt– I knew he was perfect for Lauren. He is the most welcoming, warm-hearted, and outgoing guy you’ll ever meet! He’s wild, adventurous, and crazy… for Lauren. And when they look at each other– fireworks! They look at each other with such tenderness and admiration… and they know how to relax and share laughs together. So.Much.Laughter. Lauren and Matt met in New Orleans– so it was only suiting to revisit their beloved town where they first fell in love. Their wedding was located at Race and Religious, which is a photographer’s dream come true! It looked like Anthropologie exploded in an Old French Mansion! The combination of Lauren, her mother, and Brooke’s fine attention to detail– the entire production was magical! 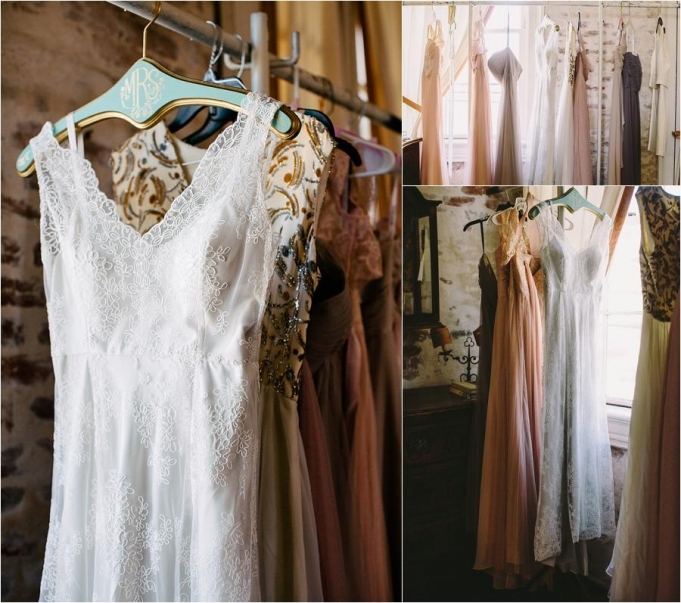 The architecture and decor was a perfect fit for Lauren’s classy, vintage, effortlessly glamorous style. I loved that she incorporated many of her grandmother’s vintage pieces like a fur shawl and a stunning metallic sequence dress for her exit. Did I mention that her grandmother may be the classiest little lady I’ve ever met? She’s straight up Downton Abbey classy with a punch of sass for good measure! Lauren and Matt chose do a first look before their ceremony so they could have a few minutes to enjoy being with each other before the chaos ensued. Matt was staged on an overhead walkway just above where their ceremony would be held. As soon as Lauren tapped Matt on the shoulder– a flood of tears sprang from his eyes. It was truly one of the sweetest first looks I ever had the pleasure to photograph! He was bawling uncontrollably and they both fled to a side room to have a moment to themselves. I was ugly crying behind my camera– I could barely see through the view finder. I remember Lauren having the biggest smile on her face and embraced him so lovingly and with so much adoration. Lauren is a soft spoken, natural beauty that thrives off of Matt’s energy and allows him the space to be his true self. And Matt– He’s the kind of guy that laughs with his whole body and cries with his whole heart. It’s all or nothing with him. That’s what makes their love so special. What they have isn’t just a spark– but an explosion of support, positive energy, and unconditional love and acceptance. Their day continued with a hilarious and heart felt ceremony officiated by one of Matt’s closest childhood friends. Tears and laughter flooded the aisles as they move straight to their second line with their amazing band– Kinfolk. For those of you have never been to a New Orleans wedding– it’s customary for the bride and groom and all of the guests to parade and dance around town lead by a Brass Jazz band waving handkerchiefs and umbrellas. It is such a lively tradition that is so reflective of city’s warm, welcoming, and festive culture. Since NOLA is known for it’s incredible Cajun fair– they wanted to treat their guests to the best of what the city has to offer! They offered an Oyster bar from the fabulous Peche Seafood and Grill and delicious Cajun soul food from the world famous chef, Brack May from Green Tomato Productions. And to top it off– since they couldn’t choose just one flavor of cake– they decided on several different flavored cakes to suit a broad spectrum of tastes from Pure Cake NOLA. Their cake table was located in a separate candle lit room that resembled a sanctuary with beautiful eclectic vintage decor. It was a sanctuary! It could even be classified as a temple for cake lovers! Like other aspects of their wedding, Lauren and Matt asked their good friend Colin of Colin Lake Band to play at their wedding. They had incredible stage presence and featured several of their original songs– which is so rare to come across at a wedding. Everyone LOVED them! They were a jam band with a bluesy, soulful feel, and they had the crowd going the entire night. It was such roller coster of emotions on the dance floor. Lauren and Matt’s first dance was filled with laughter and sheer joy. When Lauren and her father started dancing… it began with laughter and slowly moved to quiet tears of happiness that only a father and daughter would understand. I could continue on… but– as they say- a picture is worth a thousand words…and there are several that would describe the day far better than I could ever. Below are a few of many favorite images from their day! Lauren and Matt– Thank you so much for letting me witness your beautiful relationship! Words cannot describe how special it was for me to be there– and capturing the love that you guys have for each other! BIG LOVE.